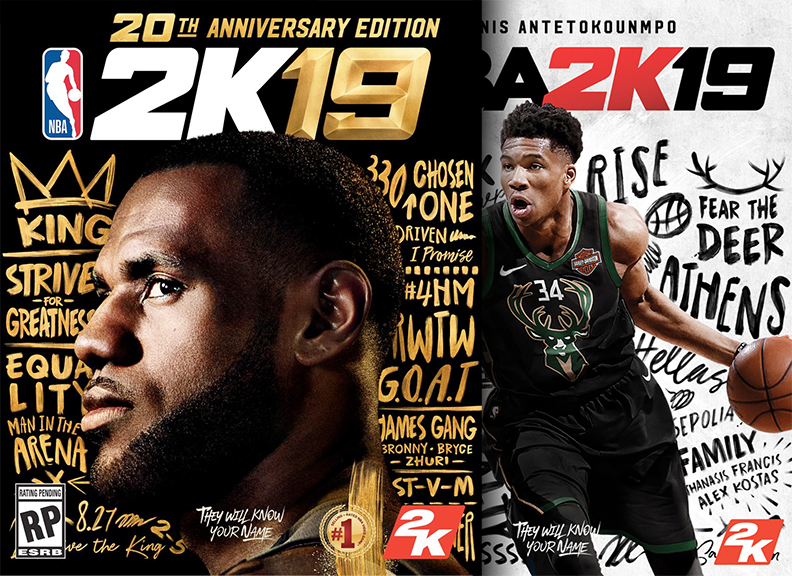 Griffin was approached & happy to have the create some digital graphics for the New NBA 2k19 video game, which was just been released in Sept 2018! You will see the 3 large murals in the main town center & a lot of the Graffiti found in the neighborhood courts etc. created by Griffin One.